Offices. Classrooms. Toilets. Showers. Storage. Mess Rooms. 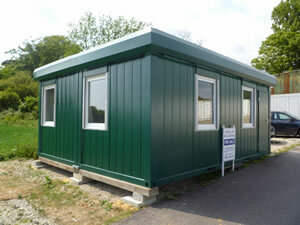 Our office and crew cabins match ISO dimensions and therefore have many advantages They consist of a robust frame construction and interchangeable wall panels. These modular units can be linked together, side by side or up to three high. 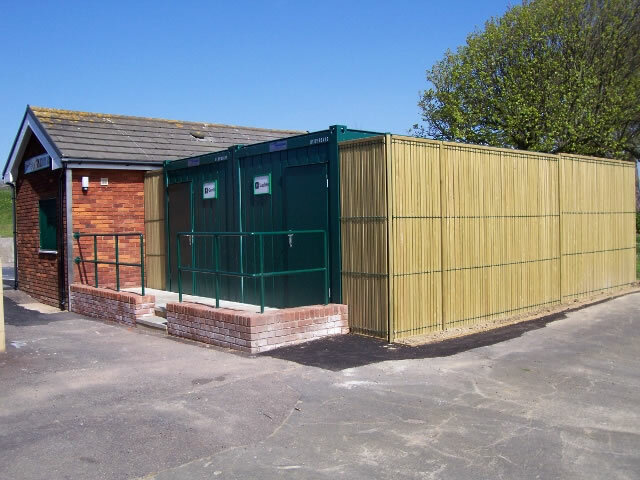 The interchangeable wall panels allow you to add extra units at a later date and insert windows and doors wherever you require. 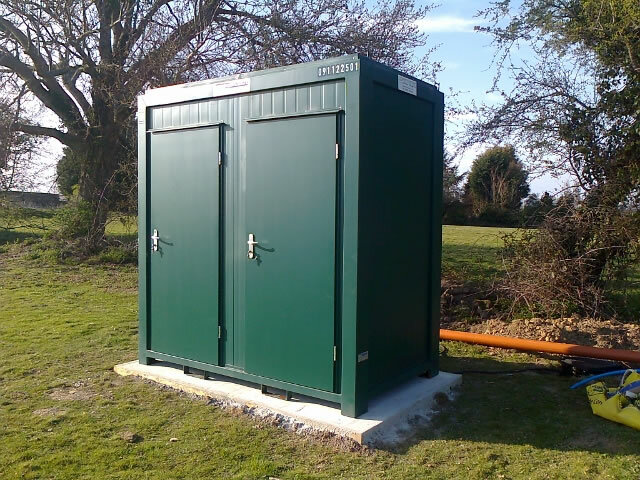 Galvanised steel sheet, coated on both sides, as well as PU-foam heat and sound insulation of the walls and the cement bound chipboard floor plate guarantee an extremly long product life-span. They are fully equipped and immediately ready for use. Separate shower and toilet cabins in various sizes can also be supplied on request. 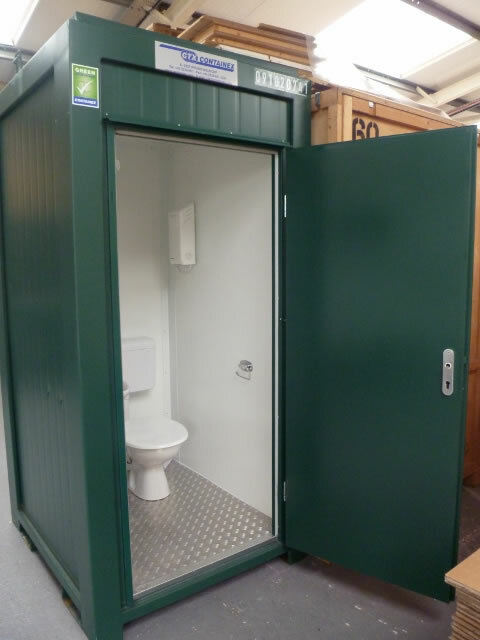 The Clean Solution: 5 WC cabin with flush system. Galvanised steel sheet, coated on both sides; the PU heat and sound insulation as well as the alu checker plate floor guarantee an extremely long life-span of the product, also under the severest conditions. Ideal for events and on construction sites.